Taking us back to the birth of slot video games, Burning Wins is worth playing just for the nostalgia element. This game will have you feeling like you’ve gone back in time with its brightly coloured symbols and classic style. However, it is a little more complicated than the one-armed bandits found in old-school casinos. 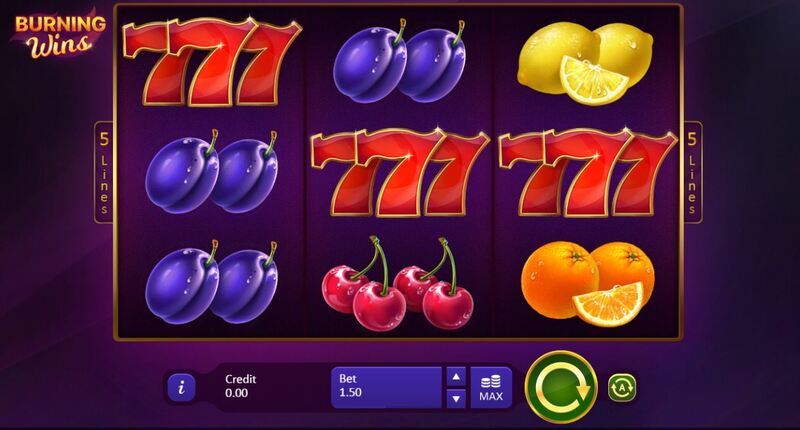 This fruit themed game comes with first-rate graphics and some exciting winning opportunities. You’ll find a range of juicy symbols dotted across the reels including watermelons, grapes, lemons, cherries and so on. Alongside these fruits, you’ll also find 7s, bars and bells. So, the question is – can you hit a lucky spin and walk home with the slot’s top prize here on Easy Slots? Playson originates from Malta and first entered the video slot market in 2012. Despite not being around for long, they are slowly making a name for themselves. Producing content for Flash and HTML5, we are confident that they have a bright future ahead of them. Continuously looking for ways to improve the user experience, there’s no getting away from their innovative ideas. They don’t have the largest gaming portfolio with only 30 slot games to show for their success. But with slots like Bumper Crop and Wild Hunter under their belt, they don’t need to. Present-day, the company has 250 members of staff dotted all over the world, not to mention an important partnership with some of the industry’s biggest players such as Leander Gaming. Here on Easy we have the best games developed by Playson for you to try! This classic slot game comes with a standard 3x5 reel set up. Players will need to start by placing their bets, which will ranges from 0.01 coins to 100. There is an absence of bonus features in the game, but the Free Spins make up for it. 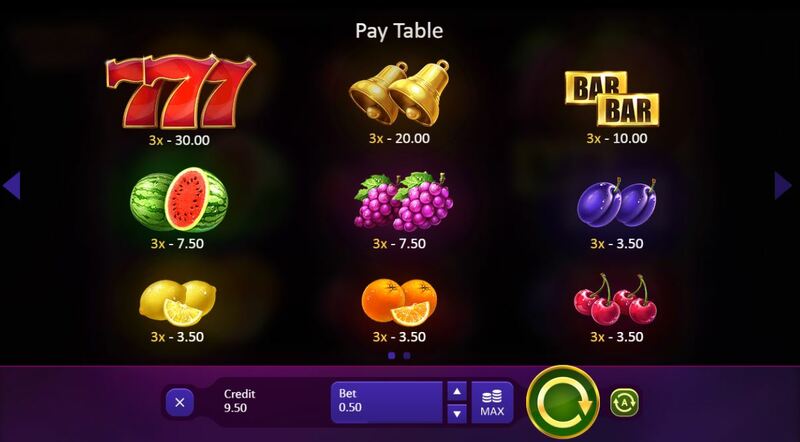 The game-play is easy to get to grips with and isn’t too far removed from traditional slots where you spin and wait for a winning combination to land on an active payline. Let’s hope luck is on your side. It’s all about the lucky number 7 in this game. In order to win the biggest amount you have to fill your reels with the three red 7s. Score 3 on any of your active paylines and you could be walking home with 40x your total bet, or land 5 and you could secure 200x your total bet – the highest prize in the game!